Rich, highly detailed and highly usable multi-media lesson plans reduce class preparation burden and help teachers increase effectiveness without increasing the time spent. 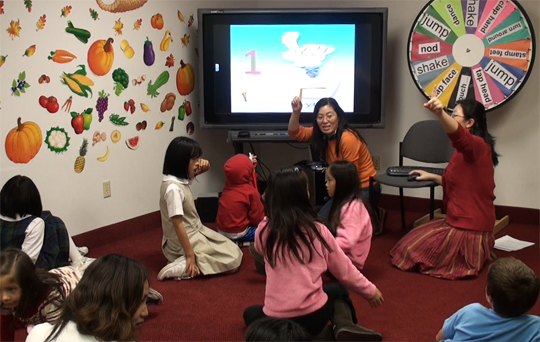 Lessons connect directly with students, attracting and motivating them to learn Chinese using “their” media - vocabulary PowerPoints, SMART Board games, Flash animations, pedagogically-selected cartoon clips. Attractive, fun Family Guide invites and facilitates active family involvement in student learning and helps communicate family focus of Chinese culture. © 2013 NEALRC. All Rights Reserved.